Hokejaši BiH prave reprezentaciju za "svjetsku senzaciju"
U razgovorima sam sa nekim bivšim hokejašem iz Sarajeva. Izgleda da će HK Bosna opet da zaživi. Probaću da dogovorim da Zvezda gostuje (ako ikako bude moguće) na nekoj prijateljskoj utakmici. A level they aspire to get back to, which has seen the Balkan nation turn to a North American coaching duo, Brian Jokat and Don Jamieson, both playing their part in the local hockey folklore of Sarajevo. “I got the call in October last year and I knew that I someday would come back here. Sometimes you got to change your plans and do what is exciting, fresh and different. I had something to give back and I had a bit of a history here,” said head coach Jokat, who appointed Jamieson as his assistant. During the 1985/86 season and much thanks to the addition of a Canadian troika, HK Bosna Sarajevo finished a fine seventh in their inaugural season of the then Yugoslav championship. Jokat, a centreman, scored 54 out of his team’s 65 goals that season, often thanks to the hard graft of his line-mate Jamieson. At the other end, Lance Hayward added steel to the defence as they became the first ever Canadian players to grace the Yugoslav league. 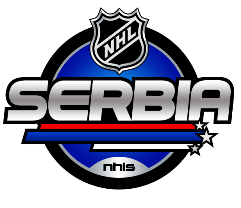 “Following Sarajevo's successful hosting of the 1984 Olympic Winter Games and with the facilities in place, the local ice hockey team, HK Bosna, was granted a place in the Yugoslav top division. Three letters had been sent to different parts of Canada looking for players. Back then I had just graduated from university when my coach told me that it could be a good fit for me,” said Jokat as he took a step into the unknown and headed east. Lepa atmosfera i podrska za Bosnu na tribinama, a na ledu fanaticna borbenost gde ima, ma ima svega. Publika aktivno ucestvuje i podrzava kako golmana tako i svaku sansu domacih. Jako dobro ozvucenje, i ukupan prenos, i Zetra u lepom izdanju. Bosna - Trukmenistan 3:1 u prvom periodu. Entuzijazam i pozitivna energija je nesto sto je ostavilo pecat kod Bosanaca. Trebalo bi u Sarajevu napraviti tim i siguran sam da bi bilo publike. Doduse, trebalo bi 5 Slovenaca i 5 stranaca da prica uopste i pocne (led u sezoni, novac, i svega). "Gledajte, ako ne skontamo klizemo ceo trening".